Dilila’s story didn’t have a sweet beginning, but she did get a classic fairy-tale ending. After years of being used as a breeding dog, Dilila was discarded in the streets of Taiwan, then rescued and transported to the United States. 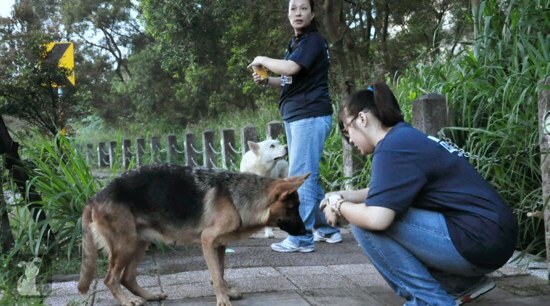 Just like in America, the Taiwanese fall in love with dogs made famous by the movies. When “101 Dalmations” hit the wide screen, Dalmatians were all the craze. When “Beverly Hills Chihuahua” became a hit, so did the breed. 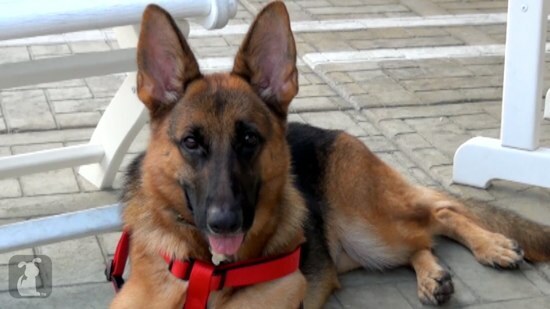 For Dilila, a German Shepherd, a long string of military movies pushed them to the point where, according to Claudia Lin of Clala’s Paw Rescue based in Taiwan, German Shepherds and Labradors became the most popular breed in the country. Large dogs like Dilila were often purchased as small pups that soon outgrew their small Taiwanese homes and apartments. Dilila was used as a breeding dog, a tattoo on her ear denoting her lineage. When her “usefulness” was over, she was discarded in the streets. Fortunately, Dilila was not alone. She found a constant companion and friend in James, a Labrador. He was also most likely discarded based on his size. Together the two friends navigated the streets of Taiwan, avoiding authorities and scrounging for food. 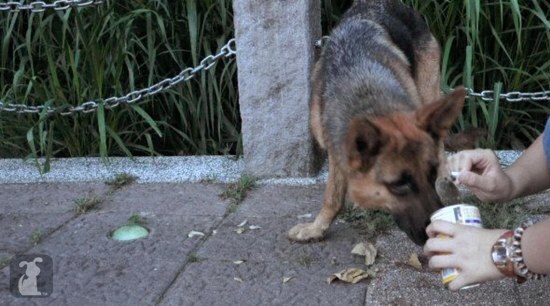 When Animal Rescue Team Taiwan (ARTT) found Dilila and James, they were starving. Knowing they wouldn’t be able to find a home in Taiwan based on their larger size, a call for help went out to America. The Westside German Shepherd Rescue answered the call, and a pact was made. ARTT flew Dilila and James, paying for all travel and medical expenses themselves, and the American rescues would facilitate an adoption. James went to a Labrador rescue and was adopted immediately to a loving family. Westside German Shepherd not only found a loving home for Dilila, but it was one amongst their own fosters. Alan took one look at Dilila and knew he wanted her. In this true perfect ending, Dilila may have lost a good friend, but she gained a family. Special thanks to Animal Rescue Team Taiwan, Claudia Lin of Clala’s Paw Rescue and Robin Jampol of Westside German Shepherd Rescue. To learn more and to DONATE to Animal Rescue Team Taiwan go to their WEBSITE. To learn more and to DONATE to Clala’s Paw Rescue visit them on Facebook. To learn more and to DONATE to Westside German Shepherd Rescue you can also visit their WEBSITE and LIKE them on Facebook.